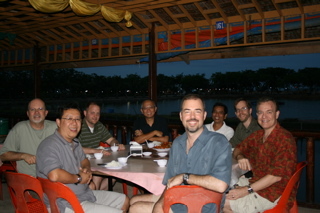 I just received a newsletter from some CRM folks who have been faithfully working in an obscure, difficult setting in Southeast Asia for the past 14 years. 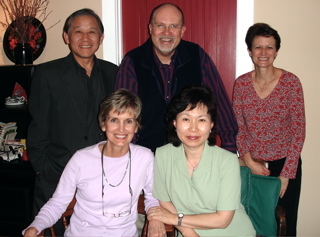 They have made a phenomenal contribution to God’s Kingdom purposes in their context. Who they are and what they have done is truly extraordinary. 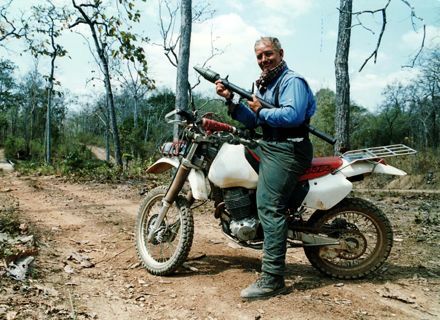 These are apostolic, pioneering types who genuinely get their thrills by going where most normal people would dare to tread. “When we arrived in this country, it was a good time and place for pioneering type people. Our personality, skills and gifting are very useful when things are broken down and not yet built. We are the ‘MacGyver’ types who live with a Leatherman Multi-Tool on our belt, a roll of wire and duct tape, and a Mag-Lite close at hand for when things break or go bad. That is apostolic gifting! God give us more. 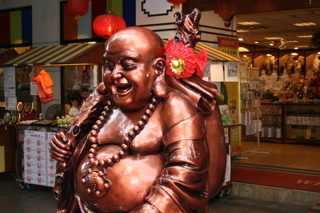 I just returned from Asia. Singapore to be exact. The Church in Asia continues to step up in assuming its rightful place and contribution to the worldwide Christian movement. 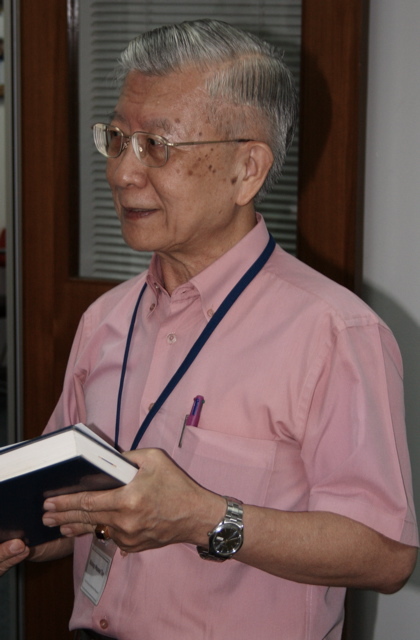 One cannot help but be impressed by the zeal and passion that characterizes Asian Christianity. 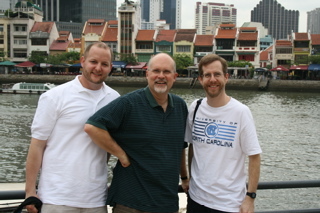 In settings such as Singapore (where this trip was concentrated), materialism has steadily acquired a vice grip on the culture and exercises a stifling effect on the missional vision of the Church. How can new generations of leadership emerge in contexts where status, shame and saving face are such predominant values? Authoritarian leaders who abuse their followers are unfortunately the norm, not the exception in this part of the world. 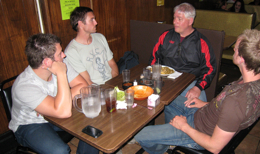 How can such a dysfunctional cultural paradigm be replaced by biblical, servant leadership? Related to the fixation on status is the compulsive drive for formal education. Too many people are sidelined from an effective contribution to kingdom involvement because of perceived inadequacies due to a lack of formal and advanced education. Sad. There is significant emotional wounding, particularly in the lives of children. The obsession to achieve exerts enormous pressure. I realize these are gross generalizations and not all Asian cultures are the same. Nevertheless, while the Church throughout Asia continues to grow in influence and stature on the global scene, zeal cannot paper over some of these deeply rooted issues. Unless honestly faced by Asian leaders, such issues will limit the contribution their nations can make to the Christian movement and a transformational influence on their own societies. 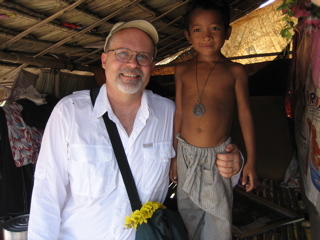 I saw and experienced one of the ways being the presence of Jesus in word and deed is lived out among the poor in Cambodia. Sunrise – a ministry of InnerCHANGE – CRM’s “order among the poor” – lovingly and compassionately walks with those suffering from HIV/AIDS. I visited the hospice where the very sick come, some to die. And spent time in “home visits” with families where parents or children are infected. I also observed ways children are helped in preventative ways in order to stem the tide of the disease before infection. 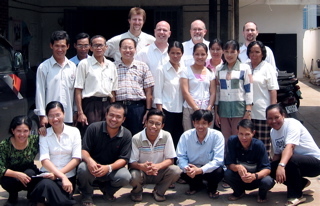 Most of all I was privileged to meet and interact with a cadre of men and women, all Cambodians (pictured above), who sacrificially give of themselves on a daily basis to the the suffering. It was a joy and an honor to experience firsthand such light rising in this remote corner of Asia. 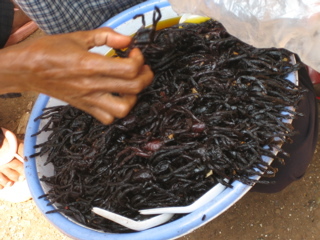 Spiders as a snack are one of the joys of life in the cross-cultural realm. Just part of the missional adventure! 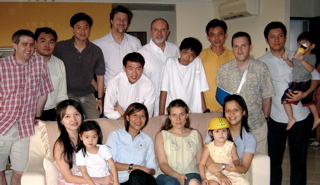 With churches which by most measures are some of the healtiest and most vibrant in Asia, a strategic geo-political location, and an economy/standard of living that is the envy of the world, what are the obstacles that prevent Singaporean Christians from serving as full-time cross-cultural workers in countless needy areas around the globe? While I have not studied it in depth, I have seen enough for it to mystify and concern me. Several cursory reasons stand out from my interaction with Christians in this city-state that is an anomaly for Asia. 1. 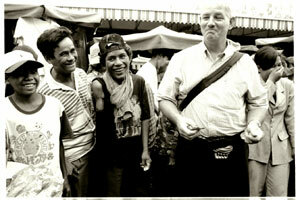 Attitudes toward higher education stunt the missionary sending compulsion. The drive inherent in Confucian-based cultures for educational achievement results in few feeling they are “qualified” for such ministry. This is puzzling in light of the corresponding corollary that too often, higher education increases ministry ineffectiveness. 2. Family ties and obligations are particularly strong. As in many Asian societies, the demands of Luke 12:26 are particularly challenging. 4. Would that Singaporeans demonstrate the zeal, commitment and spirit of sacrifice evidenced by their Korean brethren. If it is happening, I haven’t seen it. 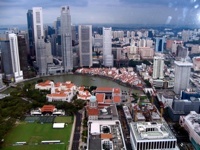 Unfortunately, it may be that the materialism and pursuit of personal peace, prosperity and job security so prevalent in North American Christianity has likewise begun its neutering, numbing affect in Singapore as well. How sad. Singapore has enormous potential. May it step up and take its rightful place as a major contributor to God’s Kingdom purposes around the world. This little boy, Chantol has AIDS. His father died from the disease. His mother is infected. 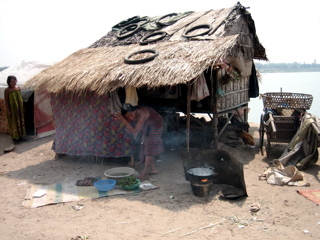 He lives in the house in a squatter community on the Mekong, in the interior of Cambodia. 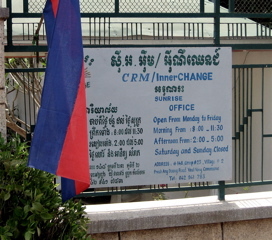 He and his family are being helped through Sunrise, a ministry of InnerCHANGE, which is CRM’s order among the poor. Sunrise personnel, both Cambodians and Americans who work and minister in this region, are living out Jesus’ concern for the marginalized, not just talking about it. And their work is on the ground, hands-on, and deep. It’s not the short-term, drive-in and drive-out stuff that is faddish and sells in the West but accomplishes little. They are doing it in areas of the world where the needs seem overwhelming. It is privilege to rub shoulders with such men and women who in word and deed live out the redemptive presence of Christ among the most needy. May God bless and multiply their work. This is the view out the window of one of the homes of a CRM staff family living and ministering in Singapore. I’m here for five days, speaking several times, meeting with varioius Singaporean leaders, and interacting with the CRM men and women who are making a significant Kingdom contribution here and in neighboring countries. 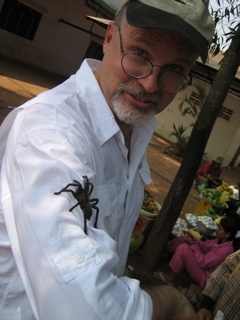 Those traveling with me have had side trips to Indonesia and Malaysia. 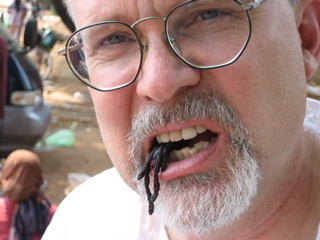 We head to Cambodia on Monday. 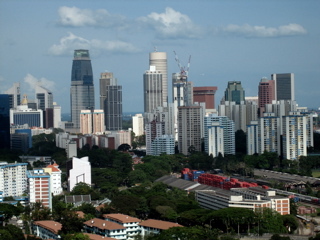 Singapore’s contribution to what God is doing in this region of the world, and beyond, could be enormous. I’ll post more regarding the nature of the Christian movement in this fascinating, complex Asia nation in the days to come.